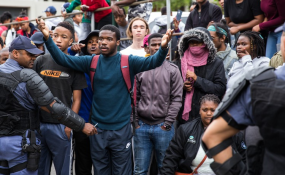 Executive Chairperson of the NYDA, Sifiso Mtsweni, has applauded Minister Pandor and says that: "The decision is in line with meeting the demands of students across institutions of higher learning who have been raising this issue for many years, as historic debt served as the basis for exclusion of students from poor and working-class background". "We commend the bold decisive action by the Ministry that will see over 52 414 NSFAS funded continuing student complete their studies within projected record time. "We are confident that this decision will enable access and success since students will be able to continue with their studies and change their lives for the better," said Mtsweni.